The Rip Van Winkle Amatuer Radio Society, Inc. 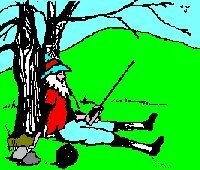 The Rip Van Winkle Amateur Radio Society, Inc. Welcome! We hope to show you a little bit about who we are, what we do and share with you our enjoyment of the great hobby of Amateur radio. Most of our members come from the Columbia/Greene Counties of New York State and surrounding area and represent a good cross section of the community. From the teenagers on one end through the octogenarians we all share a common interest in the hobby and through that many friendships. We have been told that the hobby is torn apart by the code/no-code wars and that the old timers don't get along with the newer folks but we must be doing something wrong (right?) because we haven't experienced it. We have had a few problems with some of the new licensees; they just don't understand that ham coffee has to be able to dissolve the spoon or it's just not right. So far though we've been able to survive that crisis and with their new energy and the ole timers experience and knowledge we have accomplished a great deal. Annual license classes insure a steady flow of new, active members. Our dedicated instructors teach the theory (no not the question pool answers) and code plus large helpings of procedure and tradition much as our Elmers did years ago. Each successful graduate receives a year's membership in RVWARS and they have brought much that is good to the club. We tend to be a conservative group however we are far from staid. The club has a philosophy that Amateur radio is fun and as a group we take most things as they come and our meetings reflect this. Business is taken care of quickly and we move on the coffee and conversation portion rapidly. The two best attended meetings are the annual Goody Fest in December where we operate on lots of high calorie treats and the Pizza Party and Rumble when we get together with TARA our friendly competitors in Sweepstakes and anything else you care to name.